Are you searching for marriage counseling or couples therapy services in Tulsa or OKC? Marriage Solutions can help you. Contact us at 918-281-6060 or 405-237-9697 to know more about our services! Are you looking to get your marriage off to the best start possible? We can arm you with the necessary tools to make your marriage not just good but GREAT! Are you struggling to become pregnant? Are you preparing to bring your little baby home? Have you already brought your sweet little baby home and now your tired and stressed and your relationship is suffering? We can help you. Have You Been Ripped Apart By An Affair? If you or your partner has experienced an extra-marital relationship we can help you get back on the right track. There is hope! Click here for helpful information. Click here to hear from others who have experienced infidelity in their marriage. Has your spouse checked out of the relationship? Have they filed for divorce but you just aren't ready to give up? We can help you stop your divorce. Learn more HERE. Do you struggle with constant bickering, nagging, contempt, or criticsm? Does your partner shut down every time you bring up an issue? Do you feel like you are never heard and you repeat yourself over and over and get no where? Do you struggle with anger and feel like you can't get information across without getting upset? We can help you! Have you been abused in your life and find yourself slipping into learned habits? 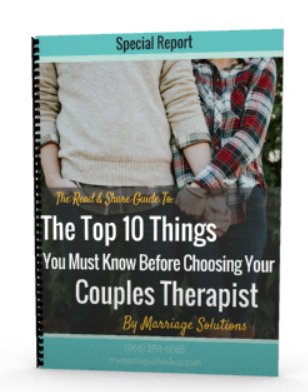 Before you consider couples counseling READ THIS. Have you struggled with trusting others for fear that they will hurt you? Have you experienced issues in your relationship that you need to handle before you can feel close to your partner again? We can help you! There is hope! Do you long for closeness in your marriage? Do you feel sad and distant? We can help! There is hope!